Last week we talked about specific VGC strategies that might be a tad unorthodox. This week, I'll give those of you who, like myself, do not plan on using any specific unifying strategy three suggestions for Pokémon to use. Spoiler alert: Vanilluxe does make a return. I apologize to the haters out there. Oh my goodness. Look at Lickilicky. I mean, really look at that thing. It's straight up terrifying. It's like something out of a David Lynch film. I've grown to like it, but I'm pretty sure that Lickilicky just has me under a hypnotic trance (even though it doesn't learn Hypnosis.) It's that or some sort of Stockholm syndrome, as Lickilicky currently has taken me hostage, but don't blame him. He's a cool guy once you get past his 100% horrifying visage. I chose this nightmarish monstrosity for this article because Dream World Lickilicky is the bulkiest Pokémon with the ability "Cloud Nine." Cloud Nine negates the effects of weather while Lickilicky is on the field. (If Lickilicky dies or is switched out for any reason, Cloud Nine will deactivate.) This makes Lickilicky a great choice to put in the back of your team in case you are about to face a weather team. Lead with Lickilicky, and your opponent will not be able to take advantage of their weather effects. That means no weather-activated abilities (such as Sand Veil), stat bonuses (such as the Sp. Def. boost a rock-type gets in a sandstorm), no typing boosts (such as a water-type move's power boost in the rain), and no residual damage from hail or sandstorm. Here's a fun set for Lickilicky. The choice between Normal Gem and Leftovers depends on if you want Explosion to hit hard, or Lickilicky to survive longer. Power Whip is there to wreck Politoed, and Gyro Ball is for Tyranitar. Protect is there for obvious doubles reasons, and Explosion is great when Lickilicky is about to be KO'd. Just make sure that the Pokémon that you have out with Lickilicky is either Ghost type or is using protect, because you don't want any of yoru Pokémon taking a STAB explosion, even with the Gen V nerf. Whew. This little Poke is considerably less menacing. If you are hesitant to run legendaries, Porygon 2 can make a decent alternative to Cresselia for setting up Trick Room. Slap an Eviolite on Porygon 2 and you have a Pokémon with some considerable bulk on your hands. 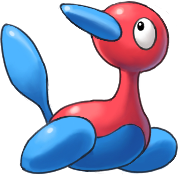 Dusclops outclasses Eviolite Porygon 2 in many ways, but Porygon 2 is still worth considering for a few reasons. First, he has only one weakness (fighting.) Second, Porygon 2 has access to Discharge, which is an electric move that hits all of the opponents on the field, so if you plan on doing something with Lightningrod, Porygon 2 is worth the consideration. Here's a set. Discharge is here for the aforementioned Lightningrod abuse, and Psych up is there in case you want Porygon 2 to copy that same boost you are giving to the Lightningrod Pokémon. Perhaps a tad gimmicky, but fun nonetheless. Ice Beam is for coverage against Dragons, genies, and Zapdos, and the final slot can be Protect or Recover, depending on your preference. Porygon 2 might not be as good as Cresselia or Dusclops, but the Discharge/Psych Up combo along with Trick Room is at least worth considering. Say it with me everyone! VA-NILL-UXE! VA-NILL-UXE! VA-NILL-UXE! WOOOOOOOO! Sorry. I have a bit of Vanilluxe patriotism. Anyway, this format, like last year's VGC, is fairly Ice-weak, and, if you aren't running Hail, Vanilluxe is an option for the back of your team, to sub in when need be. Because of his speed, he really only works with a Choice Scarf, so, without further ado, here's my Vanilluxe set for VGC 2012. 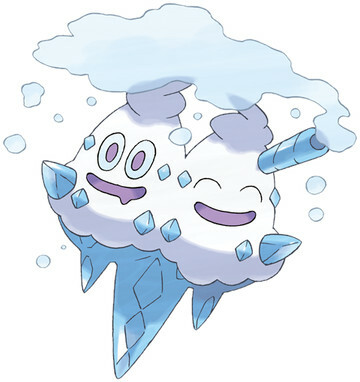 Ice Beam is for the STAB, Blizzard is for when you are playing a Hail team, or if you are in a sticky situation and they only way you could win is if you hit both of your opponent's Pokémon, Water Pulse does decent damage to Chandelure, and Flash Cannon can wreck a Tyranitar. So there you have it. I managed to make a case for Vanilluxe's viability in 2 years of VGC in a row. Haters gon' hate. Thanks for reading! Feel free to comment with your suggestions! Later, Pokéfolk.